- Press cookie dough evenly into a 12 inch pizza pan or medium sized baking pan. Bake in preheated oven for 15 to 20 minutes, until golden brown. Cool in pan on wire rack. - When cooled, spread the buttercream icing over the top of the baked cookie crust. 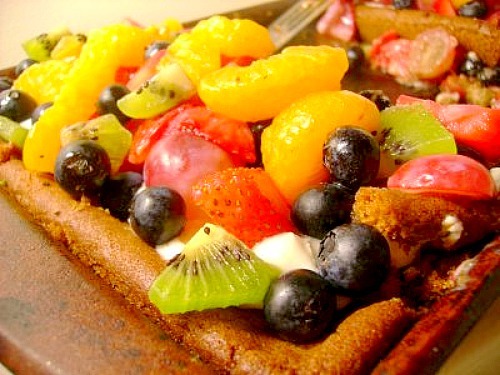 - Top with fresh fruit and cut into squares before serving.